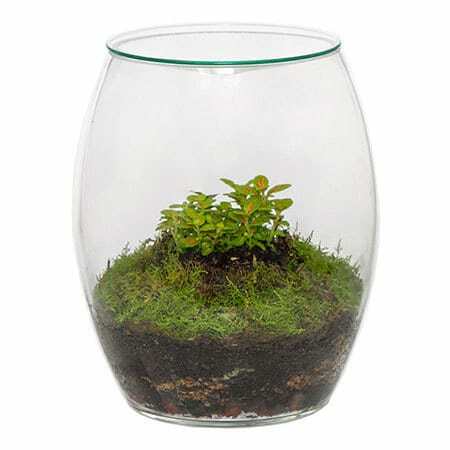 Deliver Terrarium Plants Sydney Wide! A terrarium mixes glass vessels with the plant world to create living art - a beautiful and unique gift idea and fantastic alternative to a fresh cut flower bouquet. Long lasting and great value, a terrarium plant delivery adds a touch of green and a whole lot of positive feng shui to any home or office! Terrariums are a great way to garden indoors, especially for people with a busy lifestyle or are away often. Being low maintenance and clean, a terrarium adds a beautiful living design element to any room that has natural, indirect sunlight. A terrarium is an enclosed, transparent environment with a collection of small plants that illustrates on a small scale how our natural environment’s ecosystem works. It acts like a mini rainforest, working on the principles of condensation, evaporation, and precipitation. This demonstrates how the water cycle works, passing from liquid to gas, and back to liquid again. So, the soil in a terrarium needs to be carefully balanced to ensure the water cycle stays active. It’s a self-perpetuating micro-climate in action. Order your terrarium delivery online now or give us a call on 1800 66 66 46. 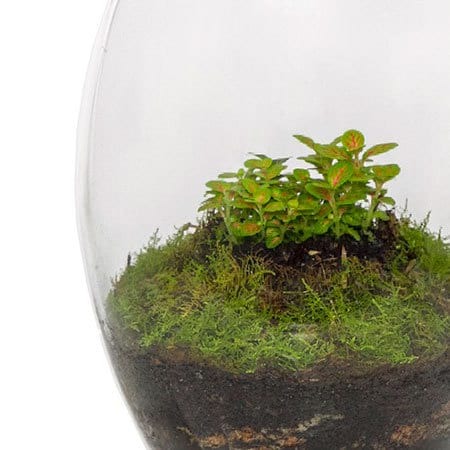 Want to deliver a terrarium outside Sydney? Give us a call on 1800 66 66 46 or email sales@flowersforeveryone.com.au for advice, availability and a custom quote.